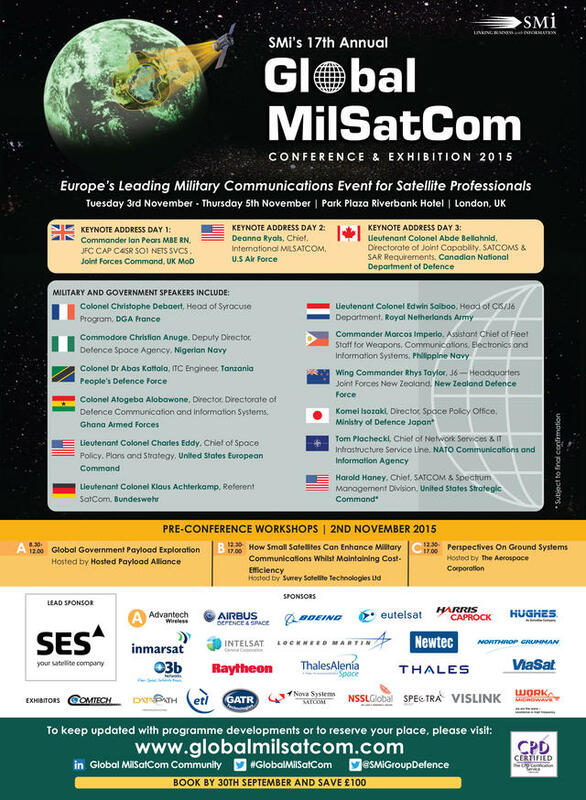 Satellite is at the forefront of communications for defense purposes, with the U.S. military among the largest users. With the pace of technological development advancing, the DOD is getting ready for a real step-change. From CubeSats and electric propulsion to reusable launchers and high throughput systems, the satellite industry is in the midst of a major technological evolution. The commercial sector has seen a number of “firsts” in the past few years, and that there will be more is, at this point, almost an expectation. 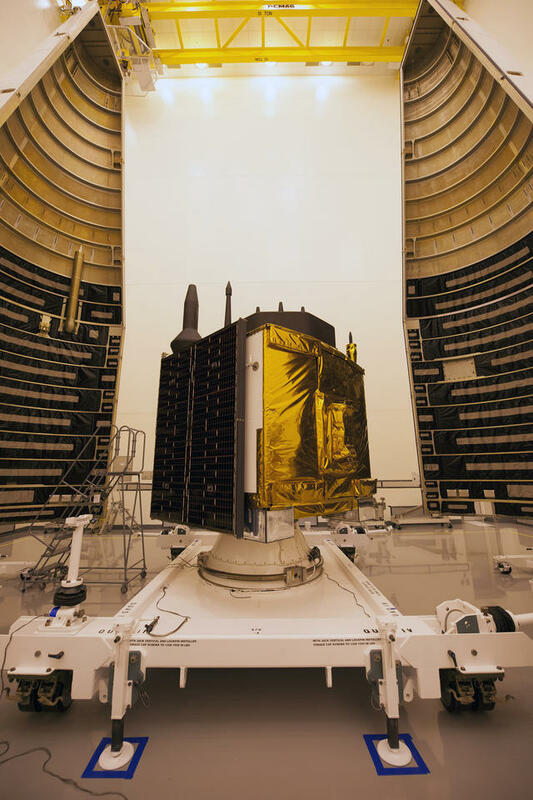 The U.S. military sometimes moves at a slower pace when it comes to satellite technology, but it is far from blind to the advances happening all across the industry. Many of these new technologies stand to be just as game changing for military users as for commercial users. The result: a doubling-down on defense Research and Development (R&D), and a fresh interest in architectures that graft the cutting edge in with the tried and true. 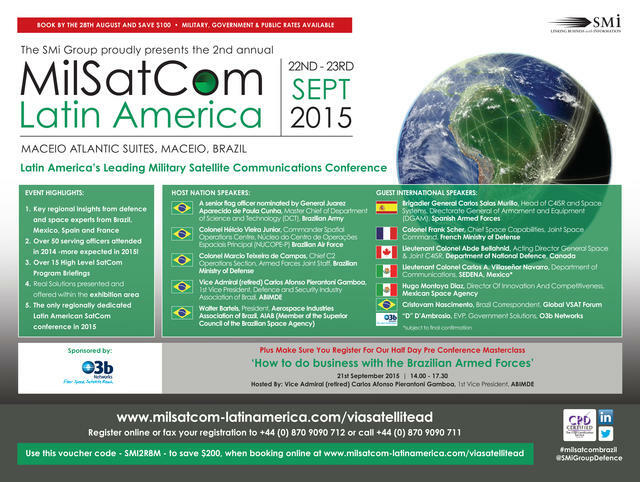 The U.S. Army is the largest user of satellite communications within the U.S. military. The branch had its own satellites but, after Courier 1B launched in 1960, it would be another half a century before the next Army satellite would reach orbit. It was almost 50 years to the date before the Army returned to space, this time using CubeSats. The Space and Missile Defense Command-Operational Nanosatellite Effect (SMDC-ONE) spacecraft launched in December 2010 as a secondary payload aboard a SpaceX Falcon 9 rocket with the Dragon capsule. The 3U CubeSat was the first of eight the Army launched, and helped demonstrate a Beyond-Line-of-Sight (BLOS) communications capability using small satellites in Low Earth Orbit (LEO). Andy Nicholas (left) and Ted Finne (right) of the U.S. 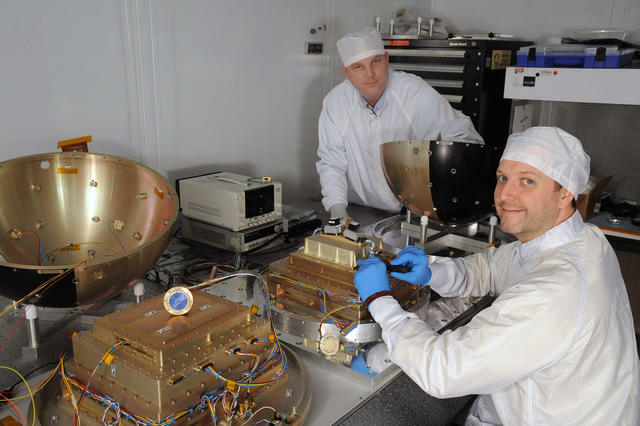 Naval Research Laboratory (NRL) prepare for the launch of SpinSat.U.S. Naval Research Laboratory/Jamie Hartman. After the first SMDC-ONE satellite, the Army flew two more that were almost identical, save for a few modifications such as a software update to enable voice communications. The results of the demonstration made quite an impression. The U.S. Army is highly dependent on space systems for communications and Position, Navigation, and Timing (PNT). Today, nearly every Army weapons system relies on PNT, and knowing where every soldier is on a battlefield is a necessity. 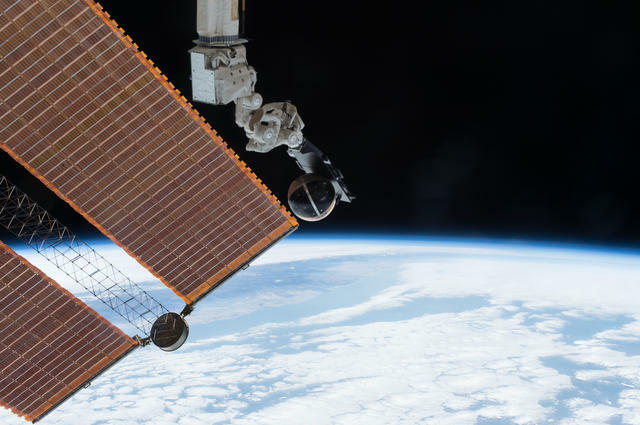 Incorporating small satellites is a new way to help meet those needs. “Compared to the ‘space renaissance’ or ‘new space’ movement occurring in the commercial sector, it’s easy to assume the [Department of Defense] DOD is lagging behind in R&D, but more than strictly the ‘numbers,’ is the focus on improving the environment of spending — focusing on core missions, increasing project efficiency, etc. that is changing these days. Especially now that the sting of ripping off the bandage has gone away to a large degree,” says Brad Grady, senior analyst at Northern Sky Research (NSR). The Army used its global network of ground sensors to communicate with the satellite. London says the test made a convincing argument that small satellites have a military communications utility. The challenge is having enough in orbit to provide persistent communications. This requires a high number of satellites, which translates to a number of dedicated launches, and the Army does not have that capability yet. The Defense Advanced Research Projects Agency (DARPA) and the U.S. Air Force’s Operationally Responsive Space (ORS) office are working on launch vehicles with industry partners that could meet this need. Several commercial startups are designing launch systems that could perform frequent missions as well. London says the big liability with small LEO communications satellites is that to create persistence you need lots of satellites. As it stands, a satellite passing overhead would be visible for eight or nine minutes, depending on the altitude, from horizon to horizon. 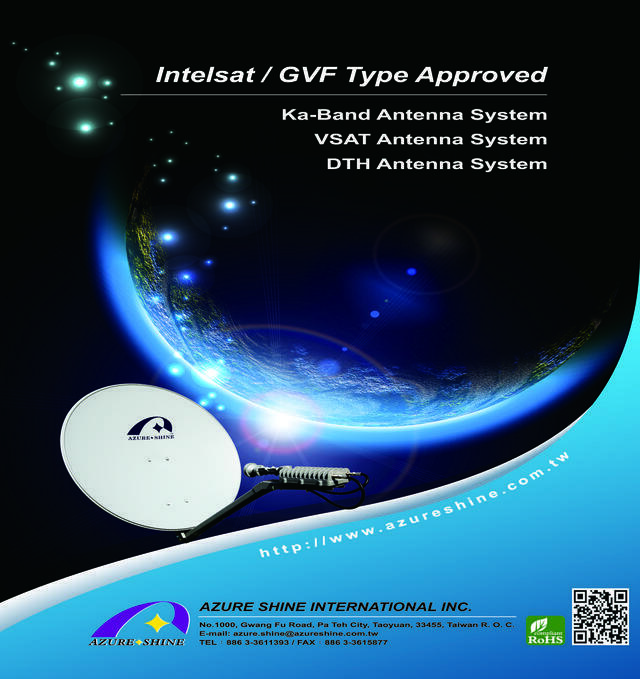 This creates a need for a high number of satellites. London says the goal is to use small satellites as more of a gap-filler to provide communications in challenging situations where traditional systems might prove insufficient. By nature of the inverse square law, CubeSats in LEO can use significantly less power and still close communications links. Another way the Army is looking to make CubeSats effective is by having the satellites operate on their own without continuous Army access, and employing a common ground architecture that works with multiple different types of satellites. The U.S. Army SMDC has more 3U CubeSats planned for launch, which London describes as much more advanced than their predecessors. These include imaging satellites we well. The ultimate goal, he said, is to better equip soldiers so that increasingly dispersed Army units can operate with the knowledge they need. When the U.S. Air Force awarded 14 companies contracts through the Hosted Payload Solutions (HoPS) Indefinite Delivery, Indefinite Quantity (IDIQ) contract, it signaled that years of talk was transitioning into something real and tangible. The $495 million contract opens up several opportunities for the Air Force to leverage hosted payloads, which in addition to strengthening its space segment through disaggregation, offer the potential for reduced costs and improved scheduling. 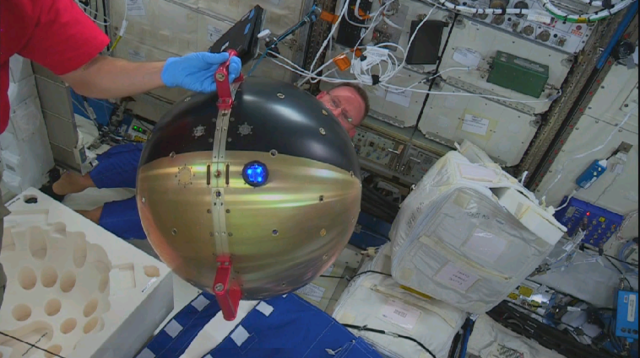 The Air Force now hopes to continue the momentum from the Commercially Hosted Infrared Payload (CHIRP) flight demonstration that launched in 2011 aboard the SES 2 satellite through SES Government Solutions. Defense officials have regularly praised CHIRP as an achievement and a step in the right direction, but the limited traction that followed led to concerns that it might be a standalone event. Greaves says the main challenge during planning and procurement for hosted payloads is aligning program schedules for the government customer and commercial host. This is exacerbated by variance in the complexity of technical integration, mission objectives, mission assurance, desired launch window, and mission duration among hosted payloads. The DOD has historically struggled with synching hosted payload timelines with those of industry, but Greaves says government customers are learning from the past and about opportunities in the future through the Hosted Payload Office, which is now a focal point for government and industry communication. In addition to the government learning about hosting opportunities and potential options to design payloads amenable to hosting, the HoPS contractor pool is also informed through the office of existing, upcoming, and potential hosted payload opportunities. 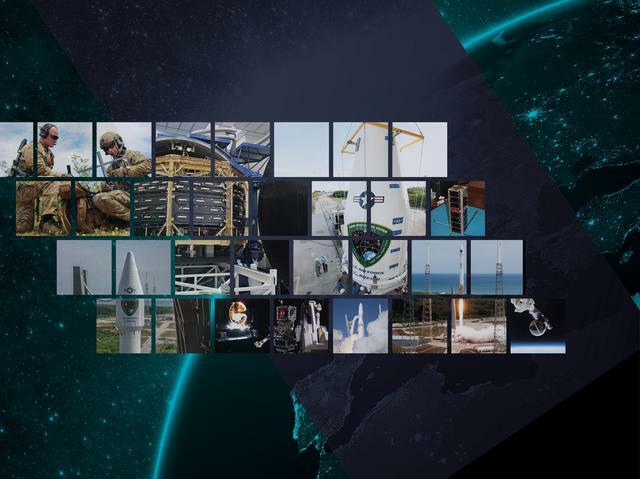 Part of the impetus to leverage hosted payloads is the current budget environment, which has led the DOD to pursue new approaches. Greaves points to the diversity of HoPS contractors as a means to drive down costs through competition. Carolyn Belle, analyst at NSR says the budget scenario has created a mix of both pros and cons, with DOD showing interest in trying new things, but also facing financial limitations. Greaves says the Air Force sees opportunity for larger cost advantages, but also caveats. For example, not owning the entire program limits government responsibility for the total of the program. However, this may come at the expense of having insight into the total mission assurance posture for the satellite system. Greaves says that requires a change of culture to accept. Still, he is confident that, despite this challenging juxtaposition of pros and cons, the Air Force will find greater, more consistent use for hosted payloads in the future compared to the staggered steps of the past. The U.S. military has long since been interested in having the ability to perform robotic missions in space. Since the late 1990s the Navy Research Lab (NRL) has been investing in facilities, equipment and personnel toward creating an unmanned robotic servicing capability. The Defense Advanced Research Projects Agency (DARPA) joined NRL in this quest back in 2002. Now they are confident that by 2020, this capability can be ready. NRL is DARPA’s lead technical developer and system integrator for the Phoenix GEO Robotics program. In order to better support DOD goals, DARPA changed the original first Phoenix missions from a decommissioned object to being able to work on operational spacecraft, and increased the focus on missions with both economic and resiliency value, such as inspection, repositioning and repair. Each robotic servicer would have an eight-year mission, serving both government and commercial sector needs.